Home / Bits and Bobs / My #2018makenine makes. This fun event is hosted by the lovely Rochelle from Home Row Fiber Co and I will link to her ‘make nine’ post here where she explains everything that you need to know about the challenge. It is not a race, it is not a competition, it doesn’t matter if you complete it or not, it’s all completely relaxed, but at the same time very inspiring and will definitely allow you to access some inspiring creators and new pattern, fabric and yarn ideas. 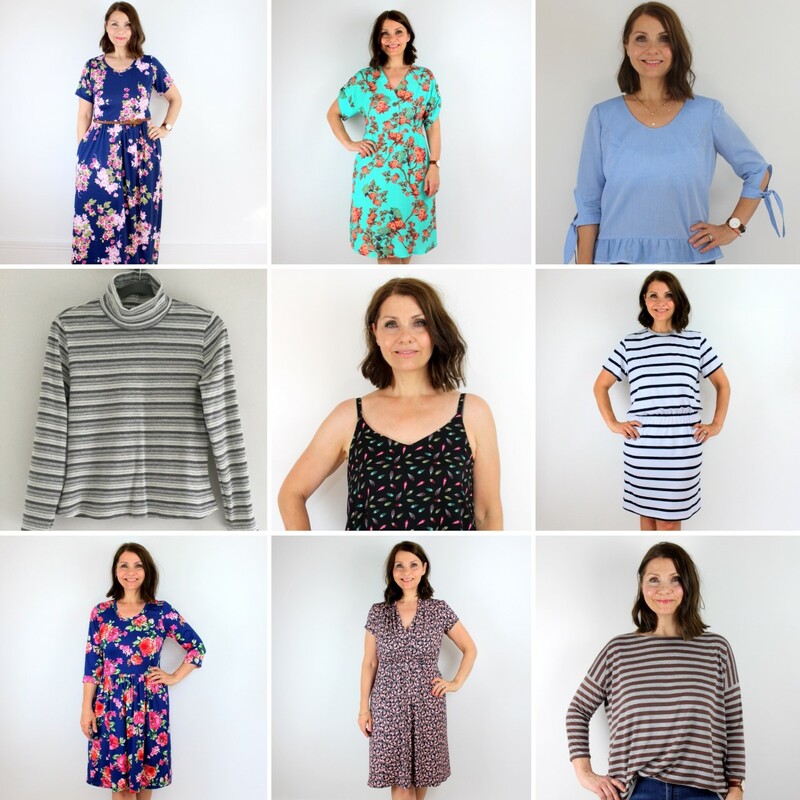 My own personal challenge to myself this year was to support nine independent pattern companies that I have never used before, and sew a garment using one of their patterns. I did it! Here’s what I made.. Such a great pattern, and it’s free! I made this in February and blogged about it here. I made this dress last June as a make for the Sewisfaction blogger team. You can find a link to the review that I wrote by clicking on my post here. I am currently in the process of making another as part of this month’s #sewmystyle challenge. Another make during June, during the UK heatwave, and promptly followed by another two straight away. They have been a lifesaver this Summer and I plan to make a hundred more in the future, particularly in plain fabrics as wardrobe staples. I haven’t as yet blogged these tops, but here is a look at one of them, made from a delightful crepe fabric picked up at a recent fabric swap. One of the most comfortable ‘throw over the head’ dress I have. This was my July make for the Minerva Crafts blogger Network. There were a couple of little things that I need to change next time I make it, which I have mentioned in the link on my blog post here, but it’s one I will return to for sure. 5. The Paola Turtleneck from Named Clothing. I’ve just realised that I did not blog about this make.. whoops.. but now is the time of year to be reaching for tops like these. Will get around to blogging this top shortly .. in the meantime forgive the rather last minute snap of this project, better photographs to follow along with the blog post! 6. The Sunday Dress from Friday Pattern Company. Heavily hacked into something that I would find more wearable, and blogged about here, I made this back in January as part of the #sewmystyle challenge. I think I may shorten this at some point into a shorter knee length dress, as I feel I would get more wear out of it in this length. I was lucky enough to have been part of the pattern testing team for Nina on this pattern back in June. 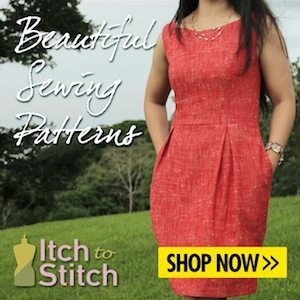 It’s a lovely jersey dress pattern that is so comfortable and a great everyday pattern, read about my thoughts on the Mayfair here. 8. The Peak T-Shirt Dress from Wendy Ward. Love this dress. I was so lucky to have won a copy of Wendy’s book ‘A Beginner’s Guide to Sewing with Knitted Fabrics’ and instantly knew that this would be the first project I would make from it. Adding a grey neckband gives it a little bit of interest and who doesn’t need a striped t-shirt dress in their wardrobe? My blog post written in July can be found here. 9. The Franki Top from The Wearable Studio. The Wearable Studio is a fairly new independent pattern company, and as soon as I saw the ruffled hem and tie sleeves on this top I wanted it! I have made two versions of this top, and still cannot decide which one I like the best. Phew! That’s all of them. A huge thanks to Rochelle for pulling together this challenge again, I have had such a great time exploring and trying out patterns from these inspiring independent companies, and hope that you have enjoyed seeing what I made with them. I have tried to include links to the patterns and blog posts where possible. Next post: The Bea Blouse from Simply Sewing Magazine. Wow, all your makes are great! I want to make one of those t shirt dresses. I have the book. I like how the grey color looks on the dress.